Over the past six decades, at least 200,000 Korean children have been adopted into families in more than 15 countries, with the vast majority living in the US. Even though Korea has the longest running national adoption program in the world, adoption in Korea is still considered a taboo subject. Korean culture has strong Confucius roots that places a high value on ancestry and bloodline. Family is very important. Who you are as an individual is considered a direct reflection of your family and your bloodline. During job interviews, it is not uncommon to be asked for your family registry (which includes information about your family and genealogy) as well as details concerning your parents and their line of work. After the Korean War, the South Korean government encouraged a limit on births per family: anyone with more than two children was seen as unpatriotic. People began to abandon unwanted babies at police stations or markets. There were also tens of thousands of biracial children, the result of relations between foreign servicemen and Korean women, as well as children orphaned by the war. These children were unwanted and shunned by Korean society. In 1955, Harry and Bertha Holt, an American couple from Eugene, Oregon, moved to Korea and started an orphanage to care for these unwanted children. With the help of Child Placement Services, Holt Adoption Program carried out its first international adoption process, placing twelve Korean-born orphans with families in the United States. Harry’s departure with the twelve children was very public and aired on many television and radio stations across the U.S. In the peak of Korean inter-country adoption in the eighties, an estimated 24 babies a day left the country and came under the care of foreign families. In 1987, about 58% of foreign adoptees arriving in the U.S. were from Korea. In 1986, Korea hosted the Seoul Asian Games as well as the 1988 Olympic Games, which brought a lot of foreign attention to Korea. Around this time, the South Korean government issued administrative instructions to refrain from inter-country adoptions as they were receiving so much international attention. However, this did not regulate international adoptions. During the 1988 Olympic Games, the foreign press concentrated on the expanding number of children being adopted overseas and saw Korea as “the world’s top orphan exporter.” The media specifically focused on the continual increase in overseas adoptions in spite of Korea’s astonishing economic growth, its rapid rise to affluence, and prestige as hosts of the Olympic Games. After receiving so much criticism, the government established the Adoption Project Improvement Guideline on June 1989 to boost domestic adoptions. This guideline was expected to lower inter-country adoptions every year and eventually eliminate it with the exception of mixed-race or disabled children by 1996. The plan was withdrawn in 1995 due to the lack of domestic adoption. Since then, the South Korean government has taken different measures to curtail the exodus of Korean-born children and increase domestic adoption rates. In 2007, the number of international adoptions dropped below the number of domestic adoptions--not because domestic adoptions increased, but due to Korean law that reduced international adoptions. Before the Special Adoption Law (2008-2011), there were an average of 1,408 international adoptions per year. After the Special Adoption Law (2013-2015), the average dropped to 669 children adopted internationally. There have been many cultural and societal issues that have made adoption a taboo in Korea, but in the past couple of years the government has been changing policies and raising awareness about the issue of Korean-born orphans. Progress is being made to improve the lives of orphans and place them in caring homes. In 2005, the Ministry of Health and Welfare designated May 11th as National Adoption Day and the week immediately after has been designated as Adoption Week. In 2006, local organizations, with the help of the government, began carrying out events to help establish healthy adoption culture. 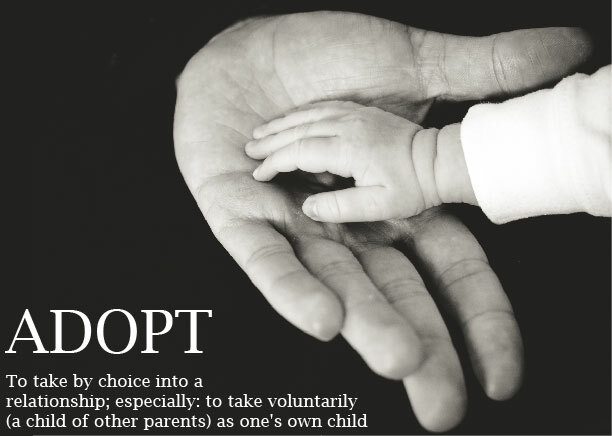 There have been adoption policy establishments, surveys and research, post-adoption management, family support, education, as well as promotion of adoption through broadcast, newspaper, internet and pamphlet to encourage adoption and facilitate a smooth adjustment to family life after adoption.